Want to find out more about the work we're doing on housing and homelessness? Click for more information! Presentation: Thyroid There was only one red flag throughout my pregnancy around health and that was the midwife noting that I had low iron. Presentation: Mental Health Mental health stigma and discrimination affects people of all ages and backgrounds. Been to an SWC event? Wonder what happens next? 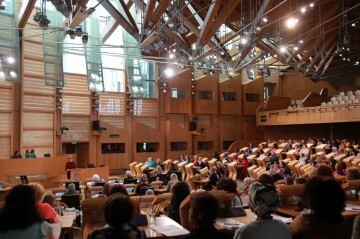 The SWC responds to consultations, attends meetings and Committees and speaks with MSPs, MPs and key decision makers. Your voice can make a difference. By working with women throughout Scotland, the SWC has a positive impact on where and how women’s voices are used and listened to. Find out more by clicking on the link below.